I shared these recipes on social media Thanksgiving weekend, but I loved them both so much I wanted to post them here. Homemade pumpkin spice creamer is a snap to make and tastes a thousand times better than the store-bought kind. It has real pumpkin and tasty spices from Moburts, my local spice shop. The recipe for Pumpkin Spice White Russian was inspired by a visit to Wheat State Distilling in Wichita on the #KSCornTour this fall. I think even the Big Lebowski would approve! Mix first 4 ingredients together in a bowl. Microwave at 30-second intervals for 1 to 3 minutes until heated through and blended. Mix in the remaining ingredients, place in a jar and shake to make sure it is well blended. Store in fridge. Pour all of the ingredients into a rock or highball glass over ice. Stir to combine. Can also be made in larger quantities in a pitcher to serve at a holiday gathering. 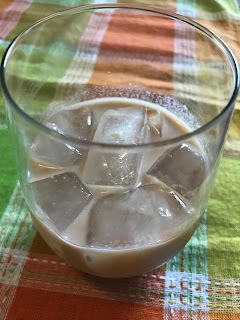 homemade pumpkin spice creamer and white russian is really amazing , i just tried it out, thank you so much for sharing with us and taking time out for us, stay blessed. 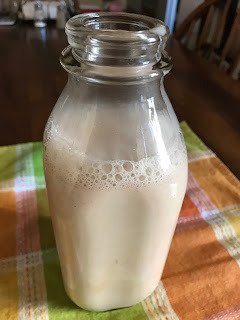 This homemade pumpkin spice creamer looks great , i love this post. A great thank you for sharing the recipe as well - at least i will give it a try one of this fine days. Two nice recipes, thanks. Hope you had a nice Christmas.